Browsium, a Washington-based startup composed of ex-Microsoft employees and partners, is planning to release an add-on that lets customers run the most-hated version of Internet Explorer within a more modern Microsoft browser. That’s right: UniBrows will put IE6 in your IE8. Currently in beta, the add-on will ship later this month and will sell for $5 per user per year. IE6 share is steadily falling, though in the corporate world usage is still higher than everywhere else. Compatibility problems are holding back many organizations from upgrading the browser since their internal Web applications don’t work on IE8. Enterprises thus spend a lot of time and money trying to figure out workarounds. This Article Has Been Shared 4401 Times! An update to support the new currency symbol for the Indian Rupee in Windows Vista, in Windows Server 2008, in Windows 7 and in Windows Server 2008 R2. Nice write up. Thanks for the great info. 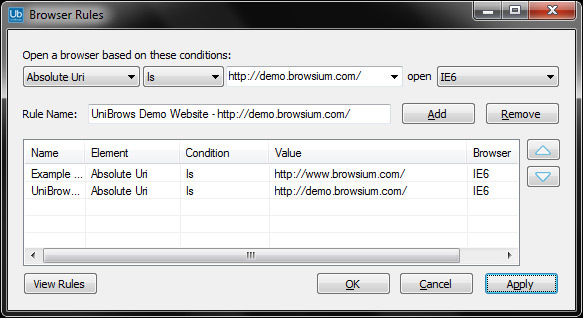 Cite this article as: Abhishek Ghosh, "UniBrows:New add-on puts IE6 in your IE8," in The Customize Windows, November 4, 2010, April 20, 2019, https://thecustomizewindows.com/2010/11/unibrowsnew-add-on-puts-ie6-in-your-ie8/.